The Data Workshop is a web-based data exploration environment intended to help users understand elementary experiment design (data definition, collection, and organization) and subsequent analysis (data representation and statistical examination). 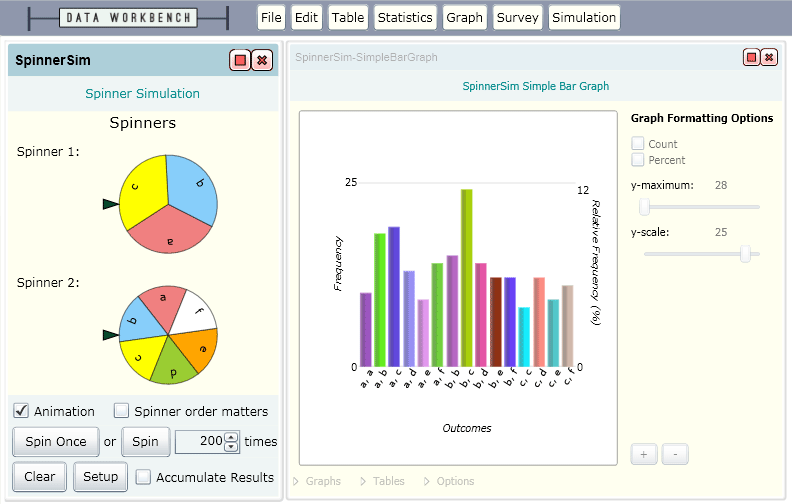 Along with entering their own raw data, users can generate data by creating and carrying out surveys in the Data Workshop Survey Room, or by designing Simulations such as coin flips and dice tosses with customizable setups. All generated results can then be extensively analyzed in the Data Workshop Workbench. Both raw data and results can then be shared with other Workshop users. For more information, please contact dataworkshop@lists.uchicago.edu.